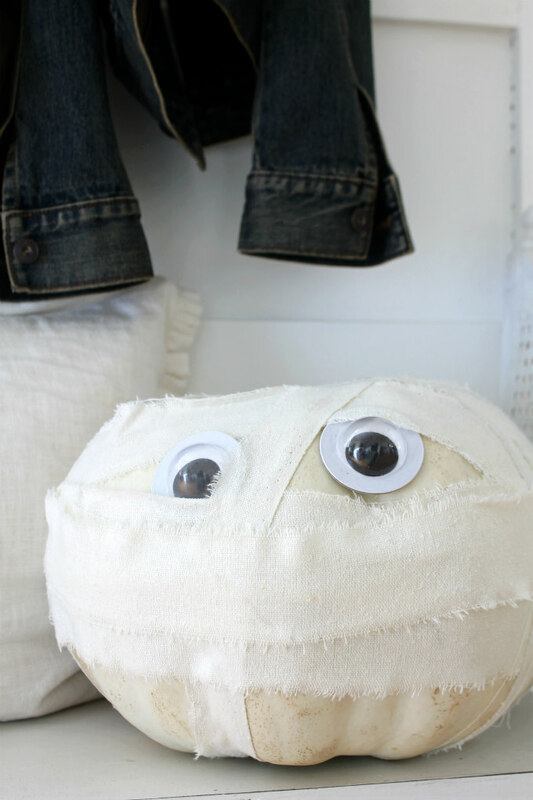 Have you guys seen my cute little Mummy Pumpkin yet? I thought I'd hurry and share it here on my own blog for any of you needing last minute easy pumpkin ideas. These are super fun and easy for kids to make as well. 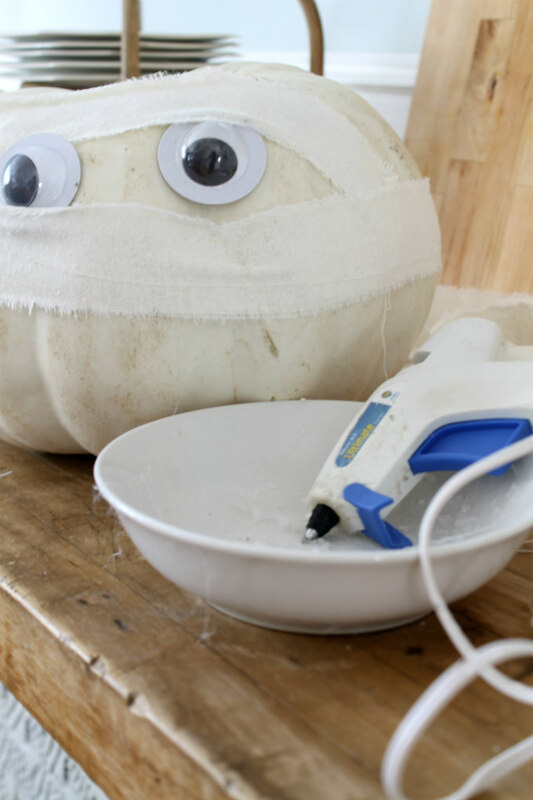 I started off with a white pumpkin, I love white pumpkins, and that's why I decided to keep it white, but turn it into a mummy. I went to a craft store and picked up some large googly eyes. I already had the muslin fabric on hand. 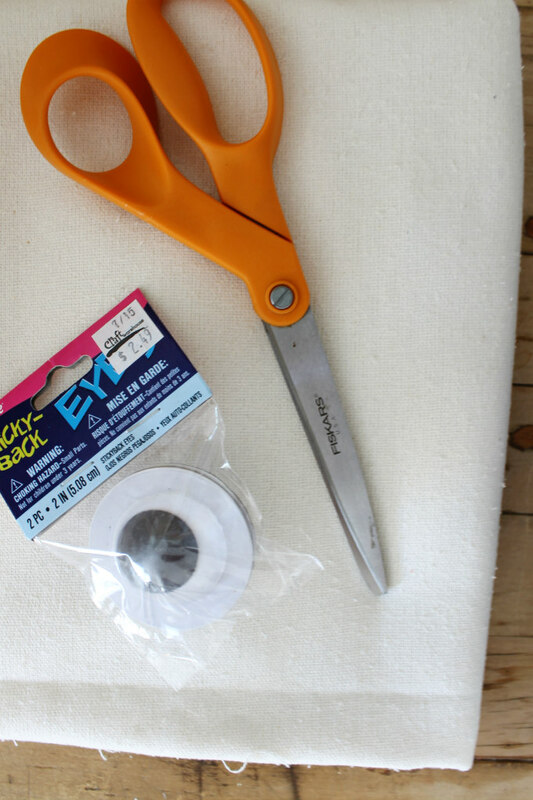 Taking a pair of scissors, I made a small cut into the muslin. 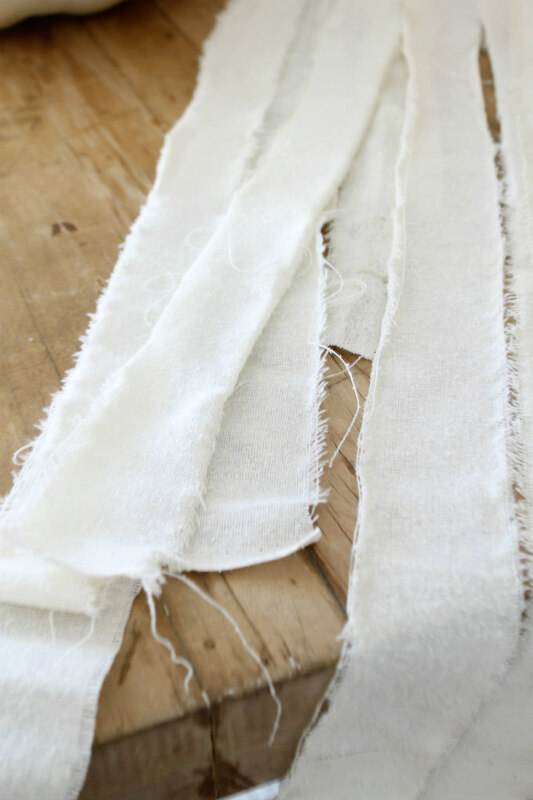 I then ripped it at the cut to create a long fabric strip. I made 4 strips each about 3 feet long. The reason why I ripped the fabric rather than cut it, was so that I could get a frayed look on the edges. I used my hot glue gun to attached the googly eyes onto the pumpkin. I then glued on the muslin strips, letting it overlap the eyes a bit. As you can see, I didn't use a whole lot of the muslin fabric. I liked that there is still a lot of pumpkin showing. 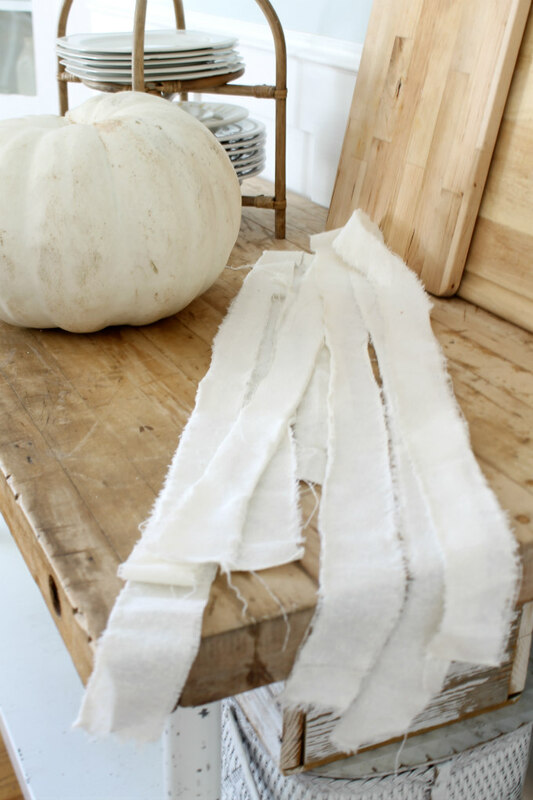 I think if you wrap the pumpkin with too much muslin, then the pumpkin starts to become unrecognizable. 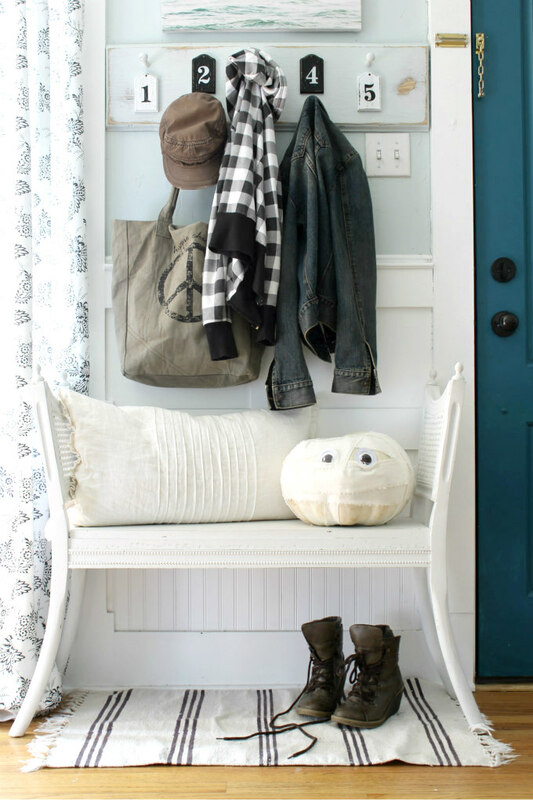 I have placed my cute mummy pumpkin on the bench in our entryway.